The cycles of the moon have influenced gardeners from diverse cultures over many centuries. While science may not fully understand why planting by the moon works, anecdotal evidence suggests that it does. Observing the cycles of the moon and the way that it affects both people and plants can help to determine when to plant in order to improve our health and yield from our garden activities. Author of the Permaculture Home Garden Linda Woodrow, a self confessed ‘extreme sceptic’, adopted moon planting as a way to manage her time more effectively and get more organised. In doing so she found that “it actually does increase the germination rate and vitality of plants”. There are a number of methods of moon planting, some are complex taking into account far off constellations – something that I find difficult to comprehend. There is an approach that I’ve found I can get my head around. Linking the ebb and flow of the sap in tune with the rhythms of the moon. In a waxing moon, when light increases towards a full moon, sap flow is drawn up. This is the most suitable time for sowing and transplanting flowering annuals, biennials, grains and melons. Basically any short lived plant that we want to harvest its leaves, seed, flowers or fruits. It’s also a good time for applying liquid fertilisers, pruning and grafting as increased sap flow produces new growth more quickly. With an waning moon, when the light is decreasing as the moon changes from a full to a new moon, the sap flow is drawn down. This focuses the energy towards the roots, which is more suited to root crops and perennials, plants that live longer than two years. It’s also a good time for applying solid fertilisers, pruning dormant plants and harvesting, as there is less likelihood of rotting. This general pattern can be divided further into the quarterly moon cycles. The new moon phase (from new moon to first quarter) is most suited to sowing or transplanting leafy annuals, where we value or eat the leaves or stem. Plants like lettuce, spinach, cabbage and celery. The first quarter phase is most suited to fruiting annuals (not fruit trees) where we value or eat the fruit or seed bearing part of the plant. Like tomatoes, pumpkins, broccoli and beans. The full moon phase (from full moon to the third quarter) is most suited to sowing or planting out root crops as well as decorative or fruiting perennials. Like apples, potatoes asparagus and rhubarb. It’s also a good time for taking cuttings and dividing plants. 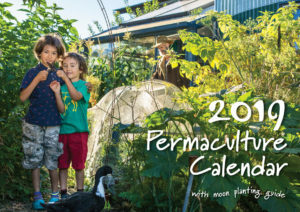 The 2019 Permaculture Calendar – Includes daily icons and moon phase times to guide your planting. The last quarter phase is a time to avoid planting and focus on improving the soil, by weeding, mulching, making compost and manure teas as well as digging or ploughing. The one caveat for this method is that 12 hours before and after the transition time from one phase to the next is when sowing, planting and pruning is best avoided. 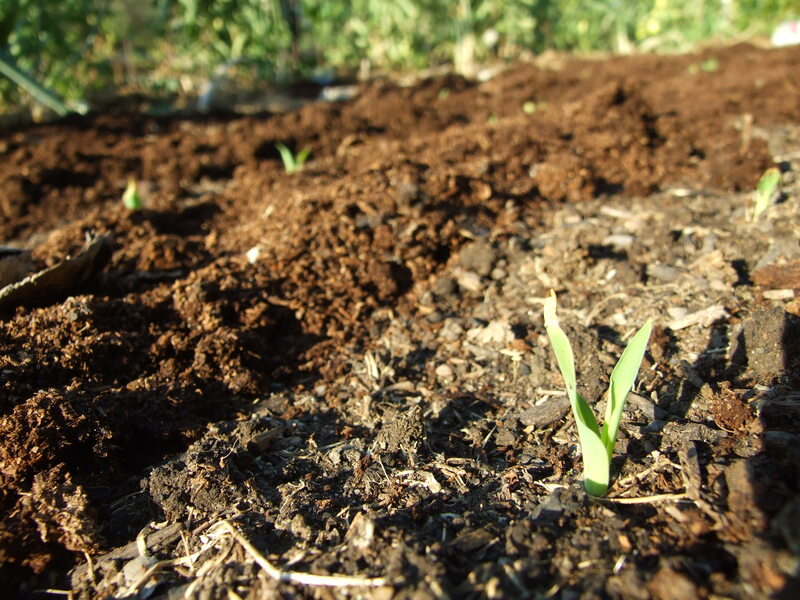 Use this time instead to improve your soil. This method of moon planting is illustrated with daily icons and moon phase times in the Permaculture Calendar. Author Lyn Bagnall, who was consulted in the development of the guide for the calendar, has written the article Does moon planting work? to addresses this question. She followed this up with another short article which shows an experiment where she plants leafy green seeds during the incorrect and correct moon phases with some interesting results. If you’ve come across research that demonstrates the success or otherwise of moon planting please share. I’m studying this for school and I’m wondering if anybody has results from previous planting by the moon phases. I’ve been using the moon cycles for years and with amazing success. I did not believe it at first and tried to do ut ‘wrong’ and also ‘right’. The results was astonishing. I will never plant any other way again. We lived in a cold area and are now living in a warm and very favourable part of South Africa and it works in both regions. Needless to say that growth is better in this warm area…but that’s understandable. There are so many other factors at play that it must be almost impossible to prove a clear association between the phases of the Moon and germination or plant growth. For example, sowing carrots can be a total failure in soil that is too dry or subject to heavy rain and subsequent drying out. Most of us ‘chit’ our potatoes and that means they are already in growth when planted, so the differences between unchitted potatoes and planting when the moon is waning rather than waxing is of lesser impact. Additionally, many of us use artificial methods today, like germinating seeds in the ideal temperature and moisture of a heated propagator. I do this with most seeds other than root crops and so have well developed plants ready to be planted out when weather conditions are optimal. I am always prepared to accept there may be something at least in age old customs that exist in many countries, but I think if there is an effect, it is of less importance today than before. If there really was a measurable advantage, all commercial vegetable growers would probably be using it. I agree there are always a number of factors to take into account. However, many home gardeners are poor people and cannot afford fancy gear. They just go with whatever costs the least and is most effective. 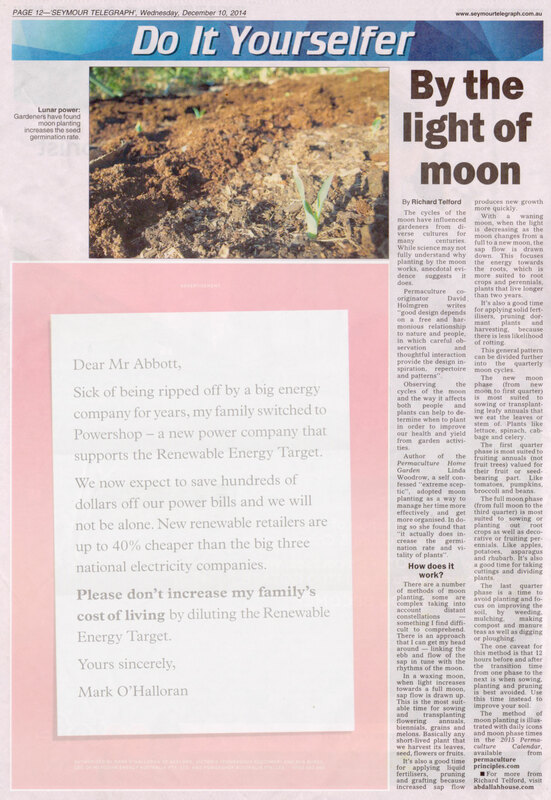 I certainly can’t afford to have failures which is why I began planting by the moon phases 50 years ago. I’ve had great success this way. However, if the weather was too hot, it rained too heavily, was too cold or windy etc etc I’ve definitely had some failures. I hear you loud and clear. I persomally believe that the moon has effects but cannot bring myself to believe that a satisfactory harvest can’t be attained by planting outside of the anecdotal moons. I’ve planted as a kid, oblivious to lunar plantng. I got great results. I’m about to sow pumpkin from seed directly into the ground following a full moon. According to the moon planting guide in the calendar, planting a pumpkin should be done in the first quarter phase before the full moon, not after. It’s a fruiting annual. If one is going to claim that there is no scientific explanation, but that there is anecdotal evidence, it would behoove one not to espouse scientifically determinable effects (like sap rising), but rather supply that actual data (anecdotal though it may be). I can’t imagine in my short growing season that waiting 2-3 weeks for the moon to be in the correct phase before planting could possibly increase the size of my plants, but I am willing to look at actual data, does anyone have any? To clarify, data would include many years of planting data including month phase, weather, and planting dates. Humans are far too good at pattern matching, and we should exercise extreme caution when extrapolating from limited data.